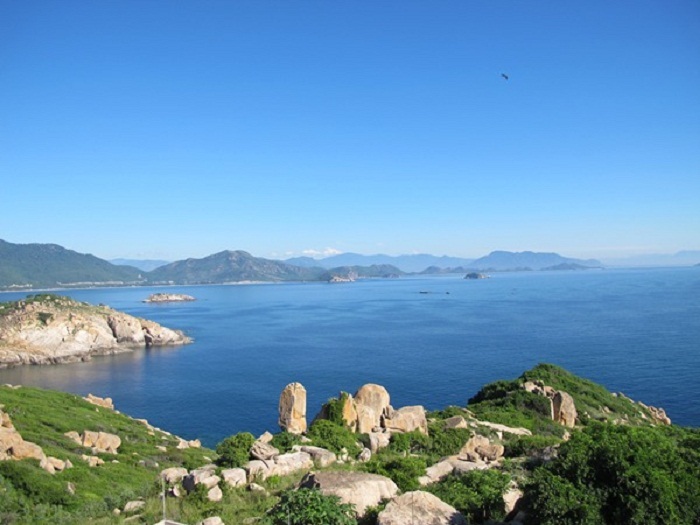 If someone looks for a primitive landscape to relax or discover the untouched beauty of nature, Binh Hung Island off Cam Ranh City is highly recommended. 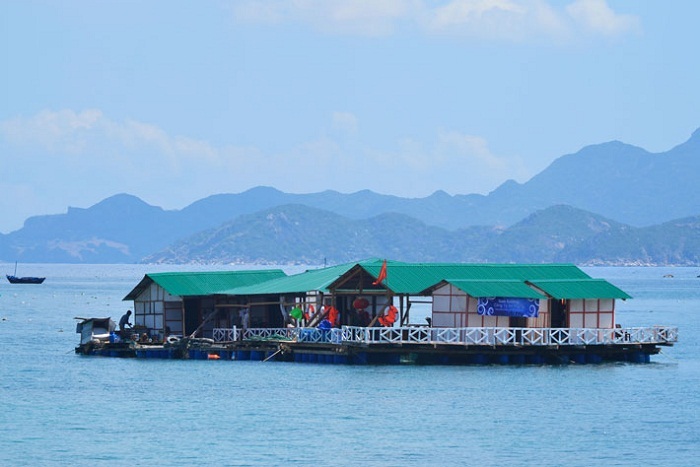 The hotel-less island is an ideal place for excursionists to set up camps to freely swim, see corals, enjoy fresh seafood and indulge in the crystal blue water and primitive surroundings. 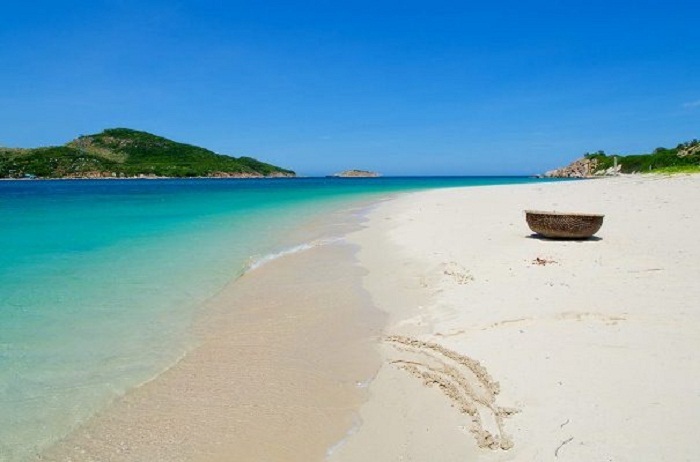 Binh Hung Island, about 30 kilometers by road from Cam Ranh City and then about 10 minutes by boat, has stunning beaches, crystal-clear water, lobster farms and giant rocks. 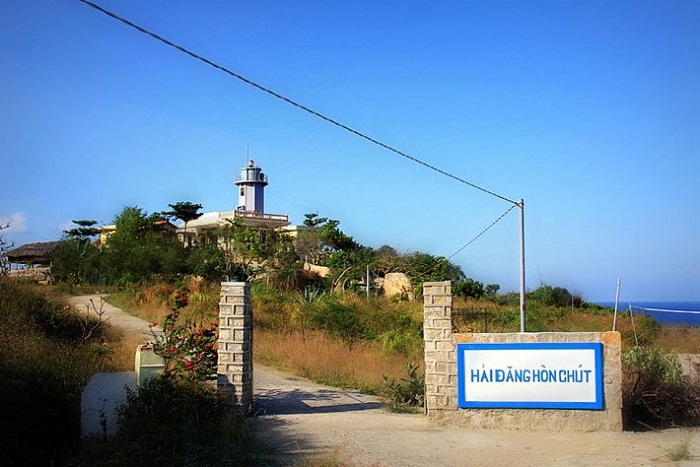 The centenarian Hon Chut Lighthouse is also a must-see destination in Binh Hung where tourists can take a panoramic view of the island. 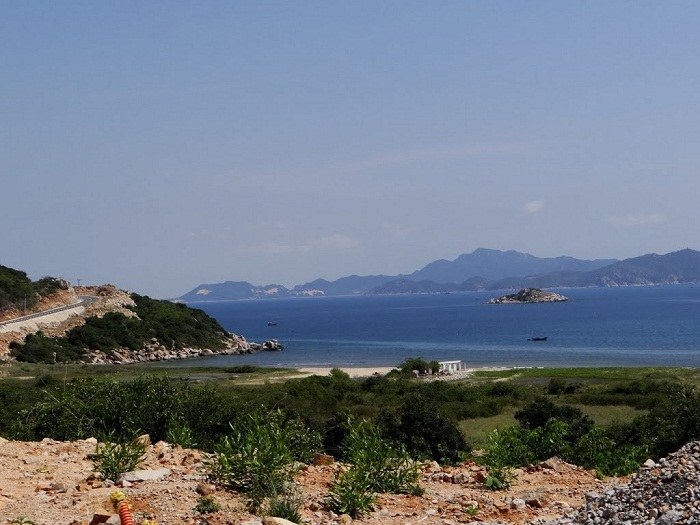 You can either bus, plane or train to the city of Cam Ranh. 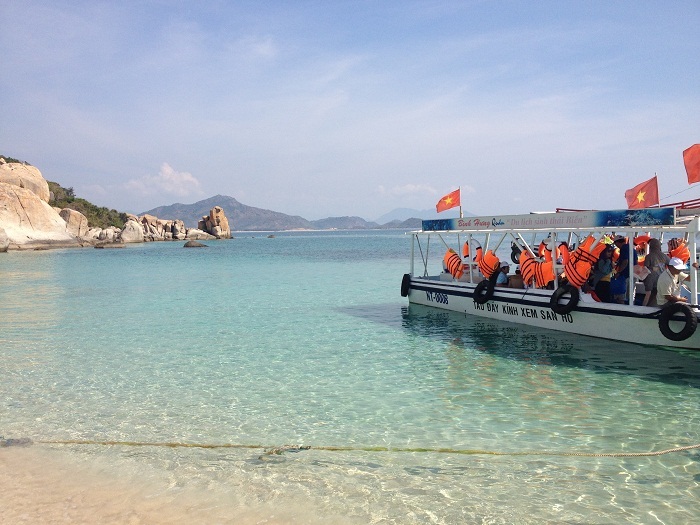 At Cam Ranh, there are two ways for you to arrive at Binh Hung. 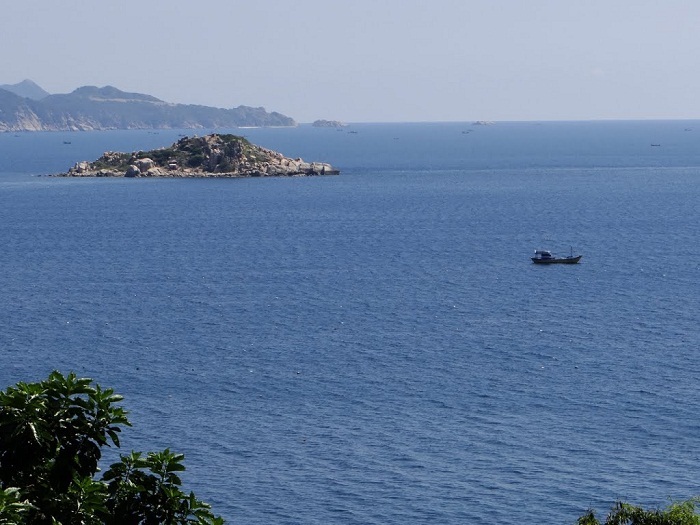 The first way is to catch a ride to the sea dock Ba Ngoi (Ba Ngòi) and catch the only 45-minutes-ferry to the island at 6am in the following morning. The second will give you more time, but you also have to travel more. First you will stop at My Thanh station. Before you board the bus, make sure you inform the driver to drop you at this station. 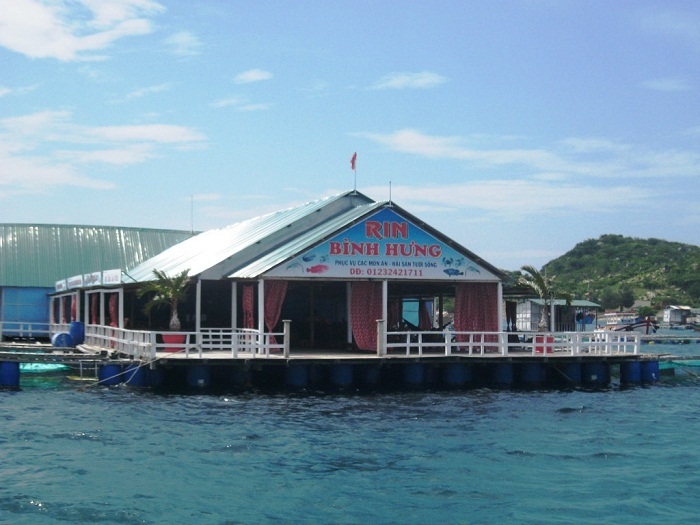 Continue to catch a ride to the Kinh sea dock and catch a boat to Binh Hung Island. 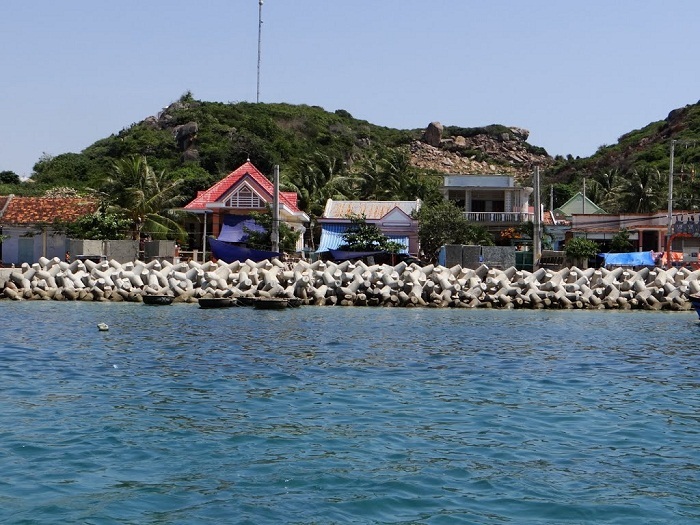 You will have more time to travel without the time-restriction because the boats in Kinh Dock are flexible in time. 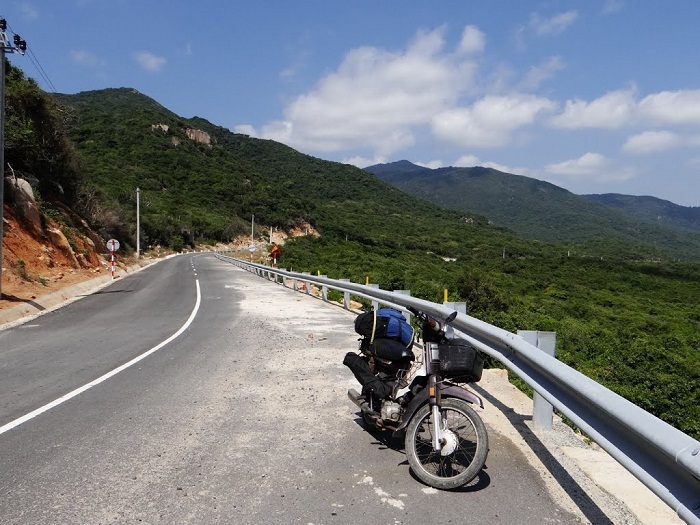 If you travel by motorcycle, make sure not to miss the road connecting Phan Rang – Ninh Chữ – Bãi Kình. The road has a spectacular view. However, the road is not very flat and can be rough at some location so be advised. 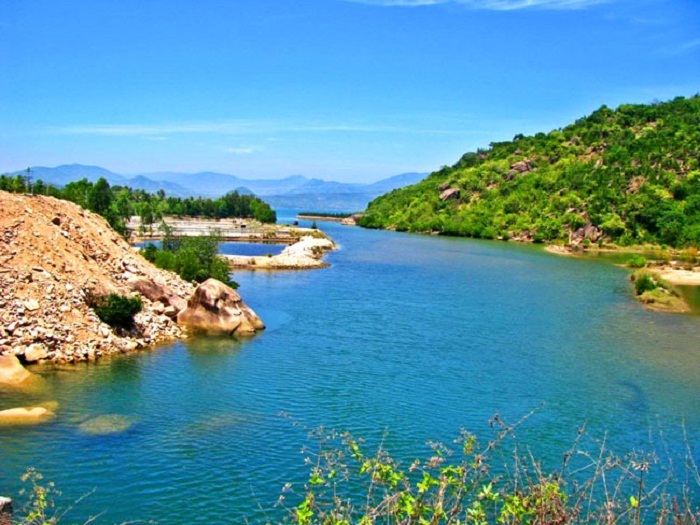 On the road there is the VĨnh Hy bay, which is a very interesting location you should pay a visit before arriving at Bãi Kình to take the boat to the Island. You can stay in the islanders’ house. The island has no hotel at any kind. 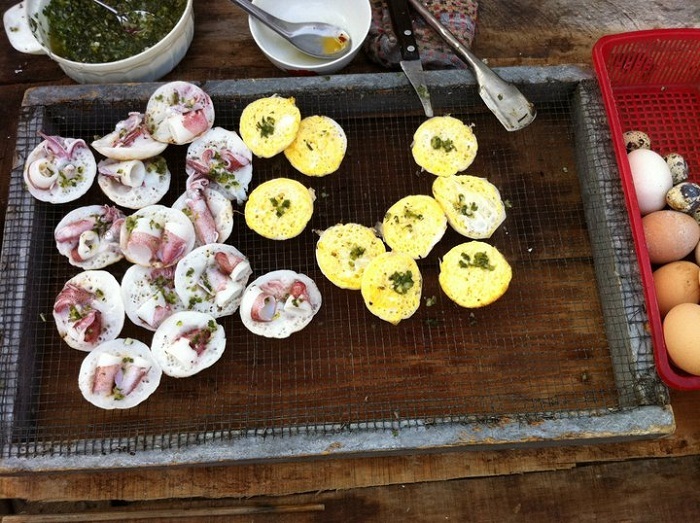 You can eat a lot of squid, and any kind of squid here. 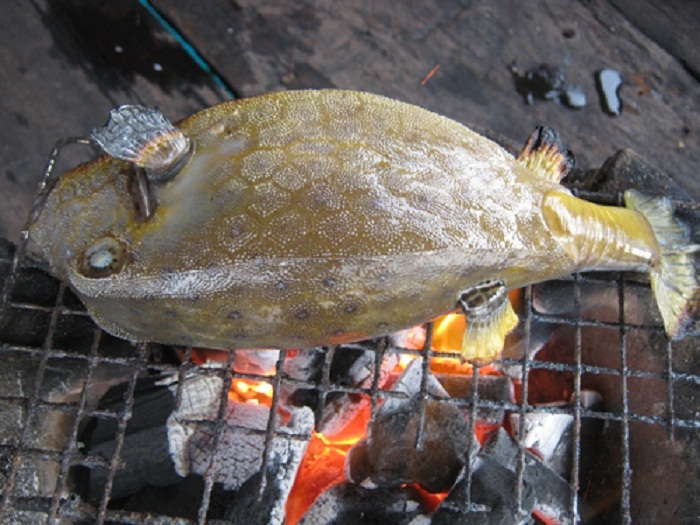 The locals also have a special dish of cá Dò dipped with green pepper salt. 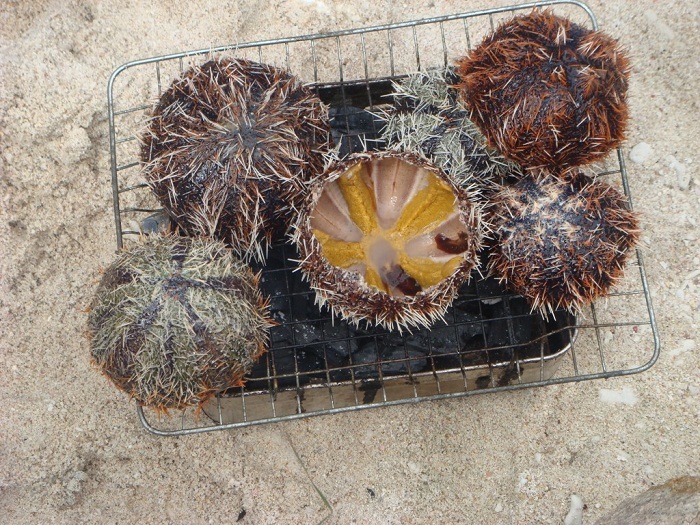 You can also try lobsters, sea urchins, any kind of sea snails with a very cheap price, and most importantly, they are very fresh. 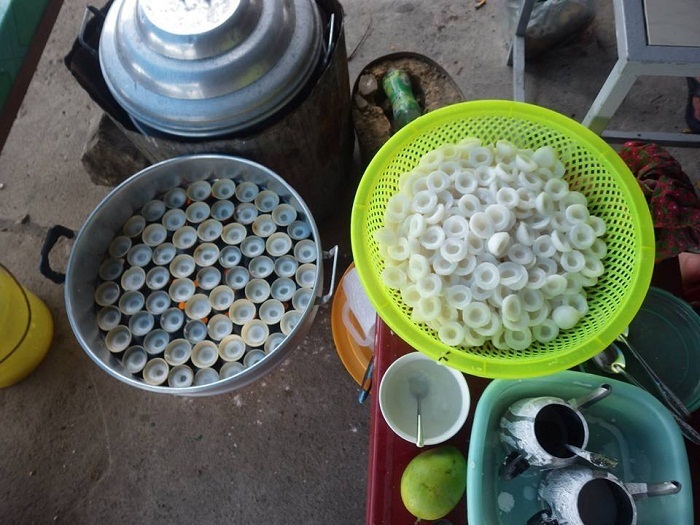 Others from the seafood, you can also try the fish bologna soup cake, Vietnamese traditional squid pancakes, which should not be missed at all. 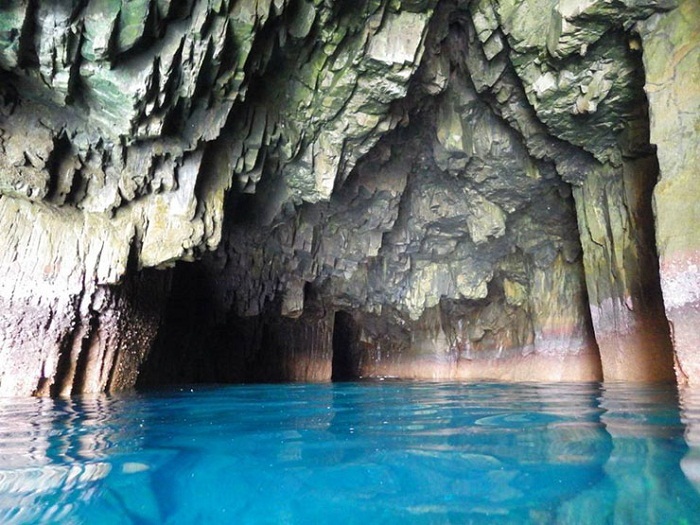 The Fresh Water beach is a very special beach because from the outside, there is the sea with salt water, and in the island, there is a cave which preserves fresh water. The water is clean and clear like crystal so you can see sea creatures diving down under the water. The island also has a coral reef, but you should contact the locals for transportation. 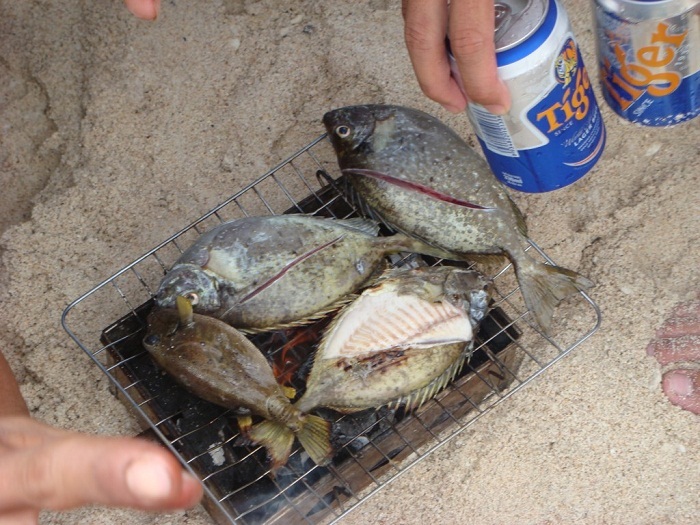 The locals will take you Banana Beach (or Bãi Chuối), one of the best place to observe the coral in Binh Hung. 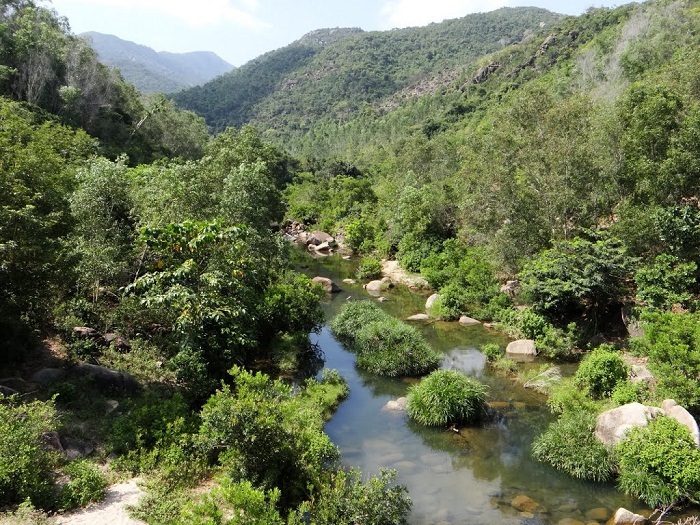 Visiting the island, taking a tour around the island, and understanding the community culture are what you should do when you visit Binh Hung. You can visit Nam Hai Temple or the South Sea Temple (lăng ông Nam Hải), the Lady Temple (miếu Bà), Bình Hưng Pagoda. 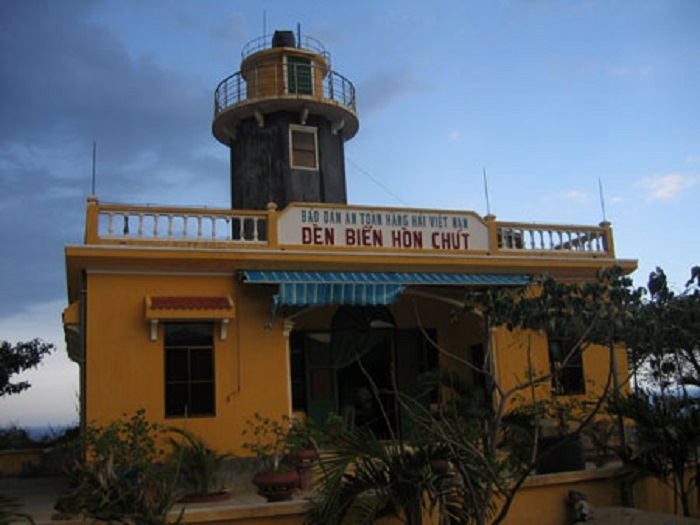 Don’t forget to visit the lighthouse on Little (Chút) Rock to watch the sunrise or sunset. 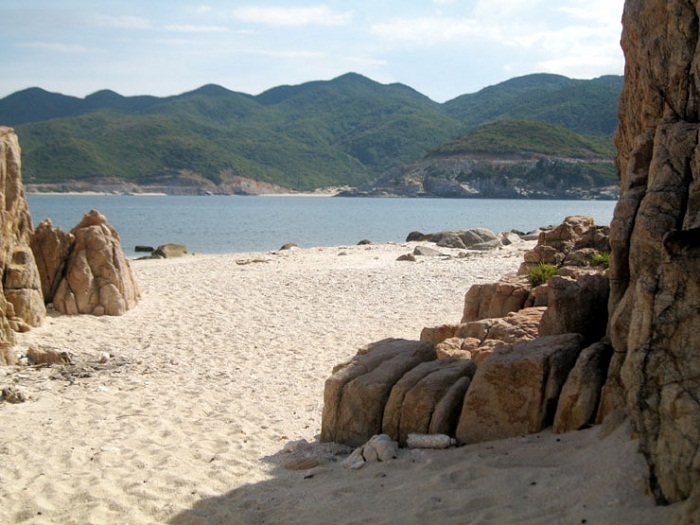 Khanh Hoa is the first place in Vietnam to see the sunrise. Bus tour: Phương Trang (225,000 VND), Phương Nam (180,000 VND), Nam Phương (190,000 VND), Sinh Tourist (210,000 VND), Trà Lan Viên (180,000 VND). 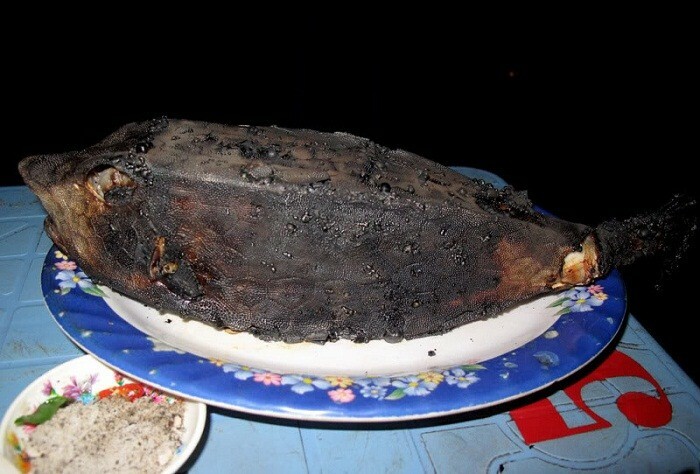 Arrival: Mỹ Thành Market, Ba Ngòi.